Between revolutionizing the car industry with Tesla and pushing human space exploration with SpaceX, Elon Musk seems to be everywhere these days. Now, Mr. Musk has a new project: bringing cheap, uncensored Internet access to the world at large. 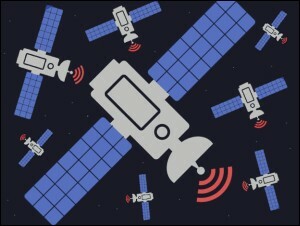 Here’s what we know for sure: The Wall Street Journal reported on November 7th that, according to anonymous sources, Elon Musk is working with ex-Google executive and satellite industry alum Greg Wyler to deploy a large fleet of small communications satellites intended to bring inexpensive Internet access to people across the globe.